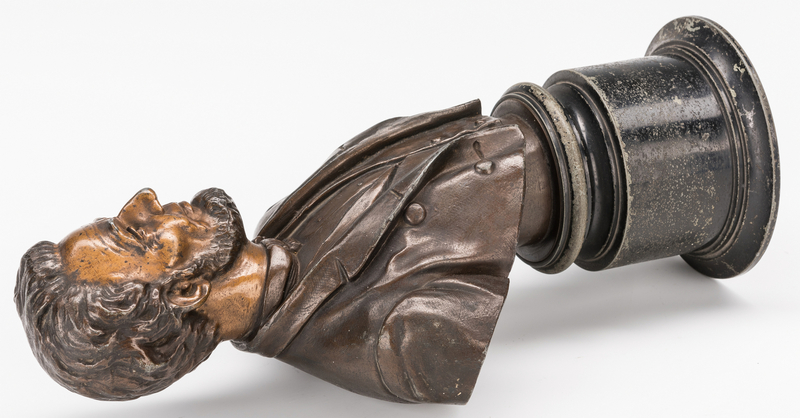 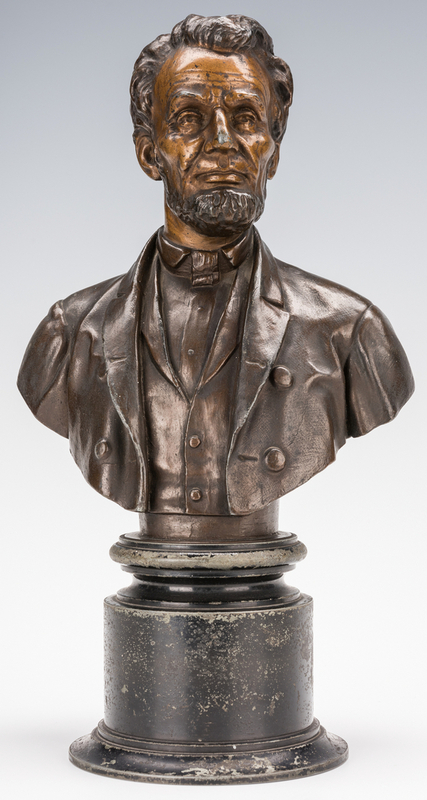 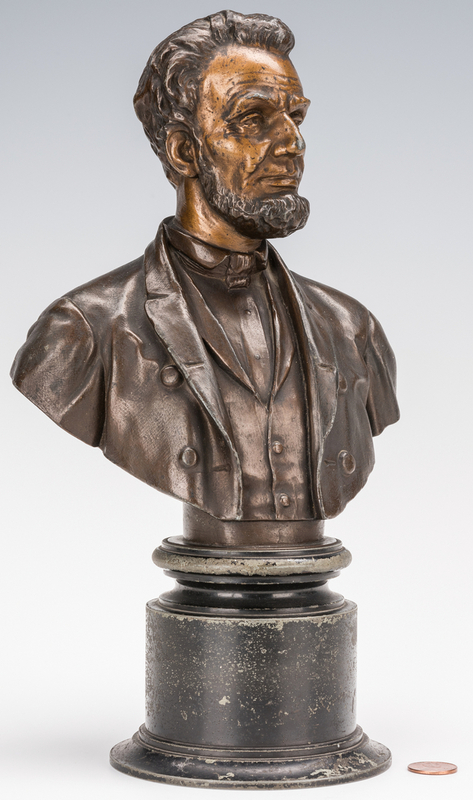 Joseph Alexis Bailly (France/Philadelphia, 1825-1883) metal alloy bust of President Abraham Lincoln. 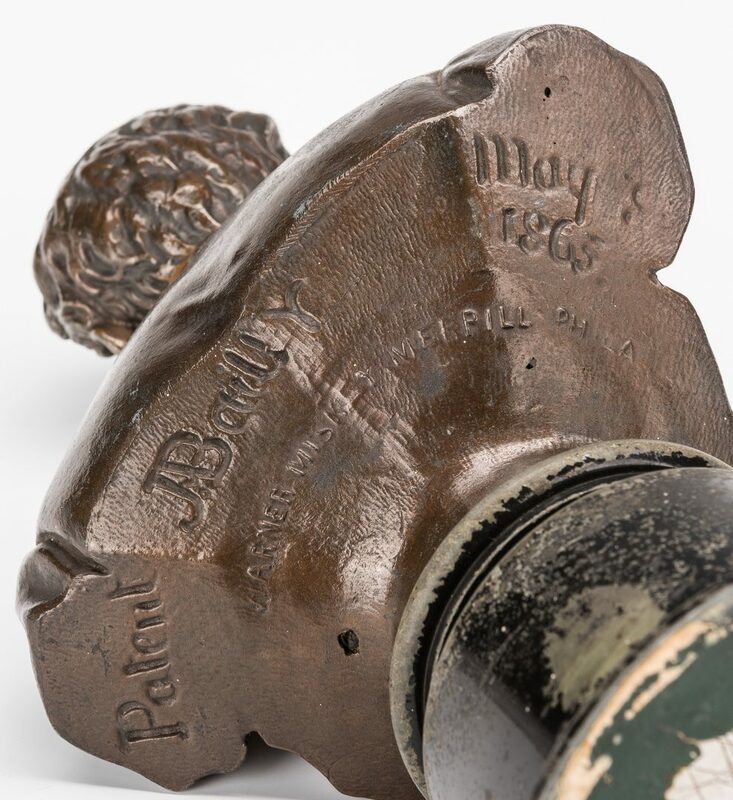 Foundry mark on the back "J. Bailly/Patent May 1865/Warner Miskey Merpill Phila". 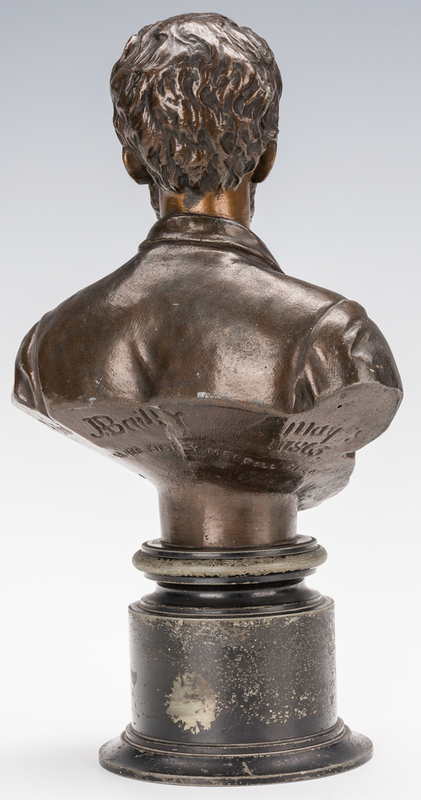 Mounted on the original ebonized metal base. 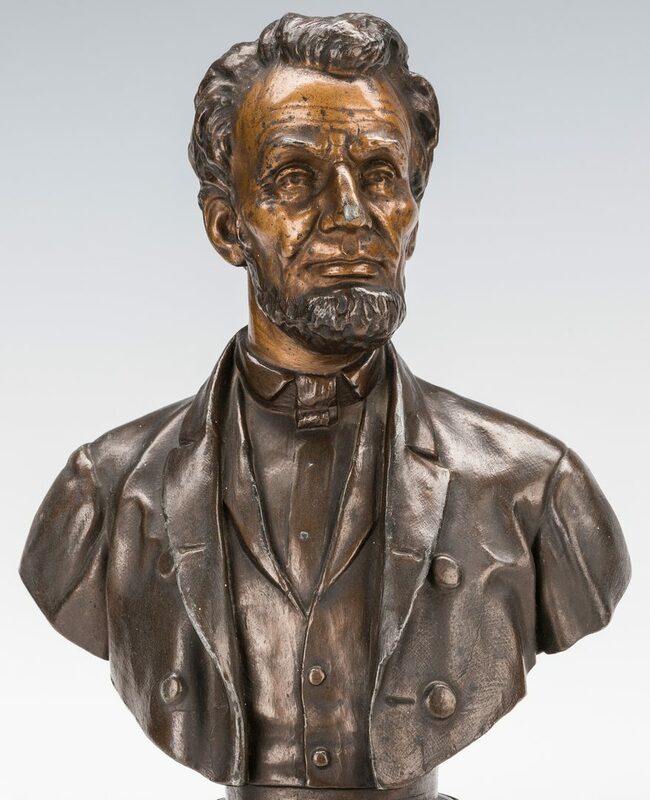 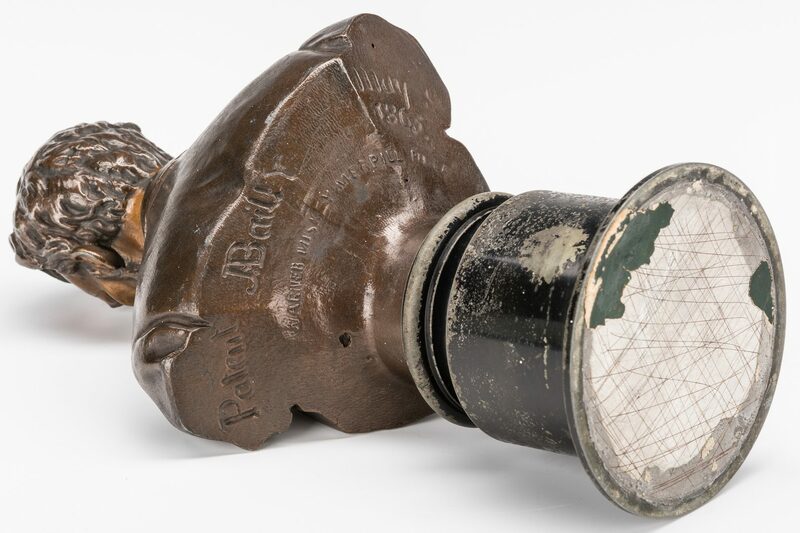 11 3/8" H. Note: The French-born Bailly emigrated to the United States in 1850 and settled in Philadelphia where he became an instructor at the Pennsylvania Academy. He sculpted many historical figures and also designed the monumental clock in the U.S. House of Representatives chamber. 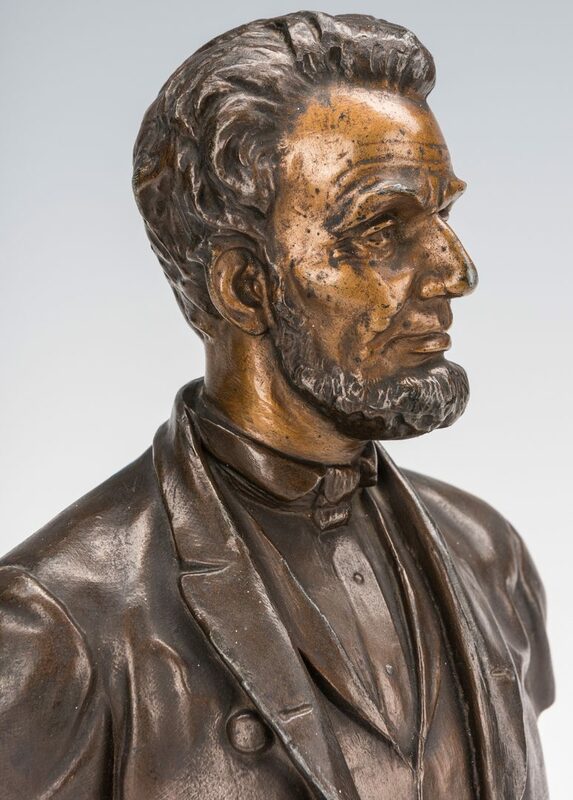 His bust of Lincoln was mass produced as a memorial piece for the grieving public following President Lincoln's assassination in 1865. 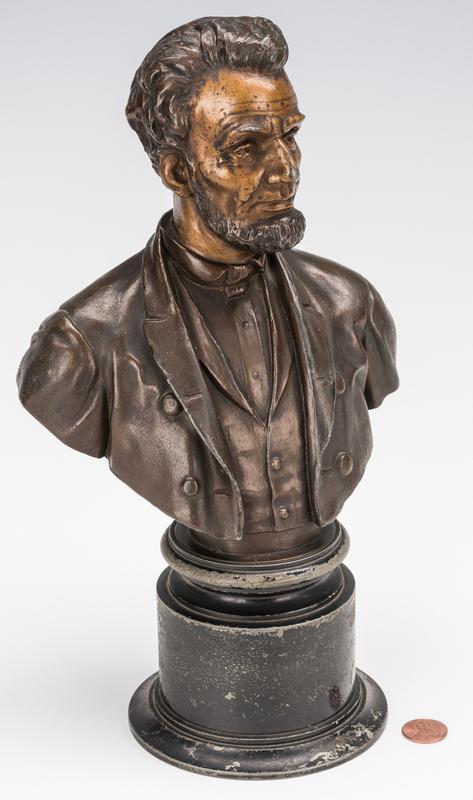 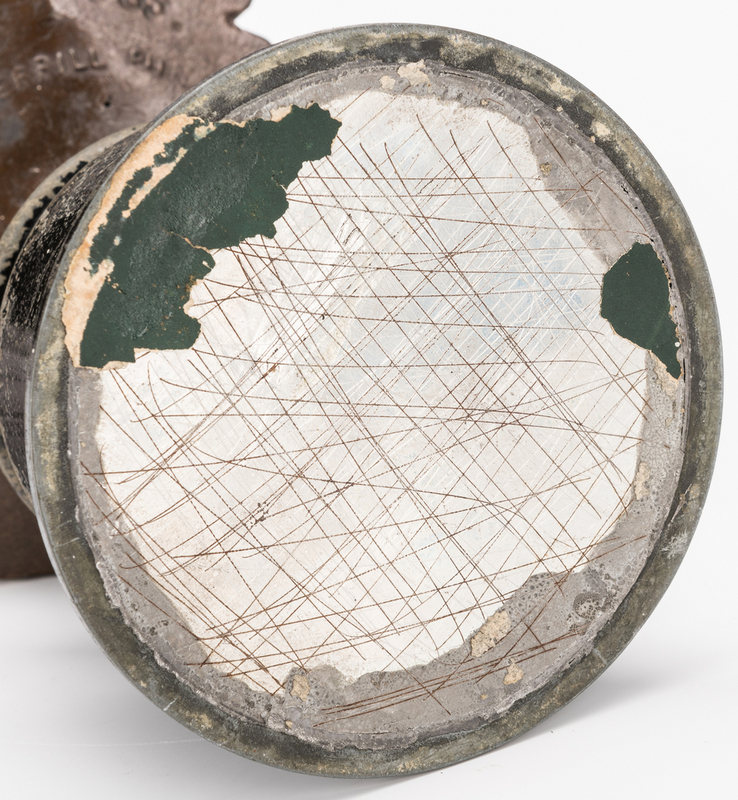 CONDITION: Rubbing and losses to face, general wear and losses to paint on base.